``Dreams are rudiments of the great state to come. We dream what is about to happen.'' --BAILEY, The Bible, as well as other great books of historical and revealed religion, shows traces of a general and substantial belief in dreams. Plato, Goethe, Shakespeare and Napoleon assigned to certain dreams prophetic value. Joseph saw eleven stars of the Zodiac bow to himself, the twelfth star. The famine of Egypt was revealed by a vision of fat and lean cattle. The parents of Christ were warned of the cruel edict of Herod, and fled with the Divine Child into Egypt. Barabbas, the robber, was set at liberty. The ultimatum of all human decrees and wisdom is to gratify the passions of the flesh at the expense of the spirit. 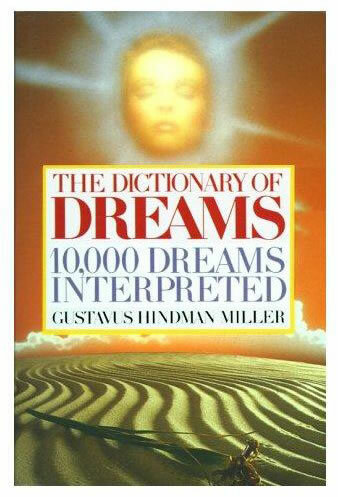 The prophets and those who have stood nearest the fountain of universal knowledge used dreams with more frequency than any other mode of divination. Cicero relates the story of two traveling Arcadians who went to different lodgings--one to an inn, and the other to a private house. During the night the latter dreamed that his friend was begging for help. The dreamer awoke; but, thinking the matter unworthy of notice, went to sleep again. The second time he dreamed his friend appeared, saying it would be too late, for he had already been murdered and his body hid in a cart, under manure. The cart was afterward sought for and the body found. Read more and Ten Thousand Dreams Interpreted after purchasing this ebook.